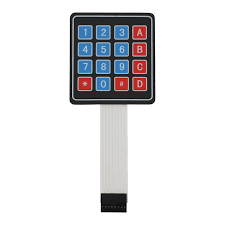 4*4 keypad matrix is a basic 12 button keypad that has been designed for easy user input and functionality. 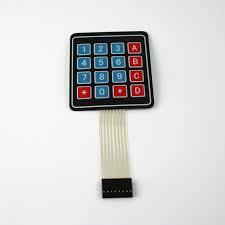 The buttons are set up in a matrix format. 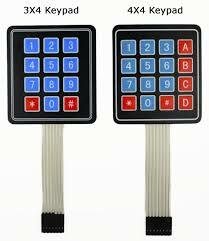 This allows a microcontroller to ‘scan’ the 7 output pins to see which of the 12 buttons is being pressed. 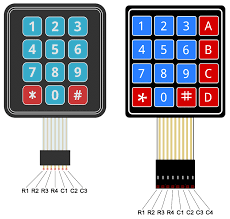 Each of the keypad’s 12 buttons has been labeled 1, 2, 3, 4, 5, 6, 7, 8, 9, 0, *, and # and has been formatted to into the same layout as a telephone keypad with each keypress resistance ranging between 10 and 150 Ohms. 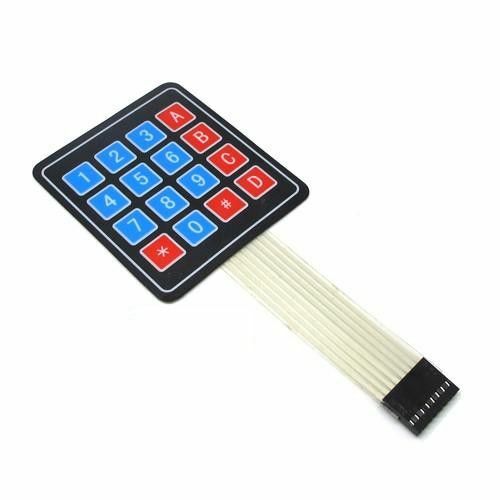 We’ve also made sure to create an updated pin-out for this keypad since it has been changed from the previous version. 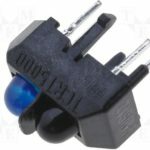 The pin-out can be found in the Documents tab above.